Back in 2010, we wrote about an article written by Robert Dobrusin, a rabbi in Ann Arbor, Michigan, that touched on a topic we think about a great deal here at The Yellin Center - how labels (rather than a description of strengths and challenges) can be unfair to children and how they are insufficiently descriptive of what is really going on with any individual. 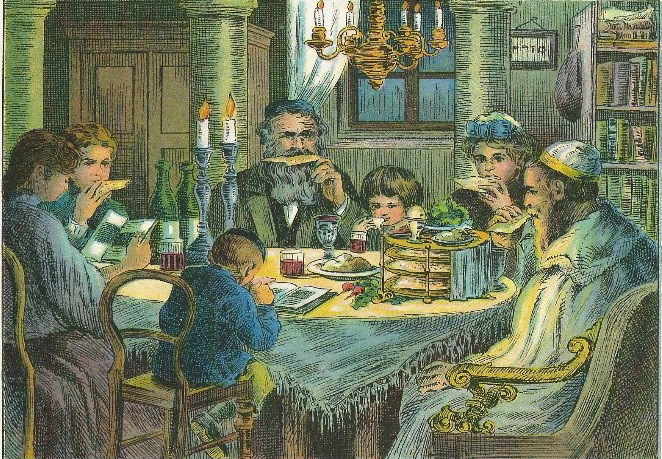 Rabbi Dobrusin's article (unfortunately no longer available online) explained how labels have unfairly limited the characters encountered in the traditional telling of the Passover story, a timely topic since this weekend marks both the start of the Passover holiday and Good Friday and Easter. The story of the Exodus of the Hebrew people from Egypt, a familiar part of the Old Testament, is told in a ritualized form as part of the Passover celebration. One key part of this ritual telling is the story of four sons: one wise, one wicked, one simple, and one who cannot even ask a question. Every year, at the Passover meal, families read about these same sons and tell the story of the Exodus to answer these children's questions. Rabbi Dobrusin noted, "I am troubled by the fact that we don't let them change. Throughout history they will always be wise or rebellious or simple or unquestioning... How can we set them in stone the way we do? There is one simple reason. They don't change because they each have been given a name: wise, rebellious, simple, unquestioning...How much wiser it would have been [if these children had been described] as the one who asked a wise question, the one who asked a rebellious question, the one who asked a simple question, the one who did not ask at all?" He went on to explain that when we label individuals we can be too quick to jump to conclusions about their actions. Only when we eschew labels and keep open the possibility of change can we then open the door for individuals to move beyond the roles their labels describe to growth and change. Whatever our beliefs, and whatever holidays and traditions we celebrate, it is excellent advice. Indeed, there is strong evidence that labeling or defining children by their limitations can become a self-fulfilling prophecy, because they tend not to see past their label to the possibility of their own change and growth. "In a fixed mindset, people believe their basic qualities, like their intelligence or talent, are simply fixed traits. They spend their time documenting their intelligence or talent instead of developing them. They also believe that talent alone creates success—without effort. They’re wrong. Whatever you may celebrate over the next few days - Easter, Passover, or just a lovely spring weekend - we hope you have the opportunity to gather with family and friends, to practice your traditions, to eat good food, to appreciate the chance to celebrate together , and to keep an open mind about the people in your life, giving them the room to change and grow.